The UAE has been ranked the second safest country in the world by the World Economic Forum (WEF), up one position from 2016. WEF has profiled 136 countries for safety and security and the UAE fell right behind Finland and also won the highest spot in the Gulf region. The UAE also holds the title for the third best air transfer infrastructures in the world, in both connectivity and the quality of its services. It has recorded a surge in visitors in the past two years, welcoming 14.4 million international visitors in 2015, four million more than 2013 and 2014. Dubai alone reached a staggering 14.9 million tourists in 2016. Dubai is now the fourth most visited city in the world and tourists spend more in the emirate compared to any other destination. 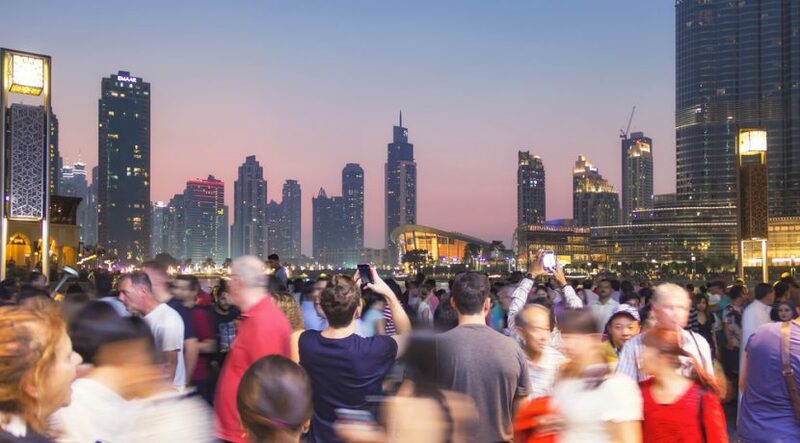 Dubai’s Department of Tourism and Commerce Marketing revealed that at this rate, Dubai could be achieving its goal of 20 million visitors by 2020. Even Abu Dhabi is showing signs of competitiveness as it is now the third fastest-growing city in the world and tops in the Middle East with a 19.8 growth rate. 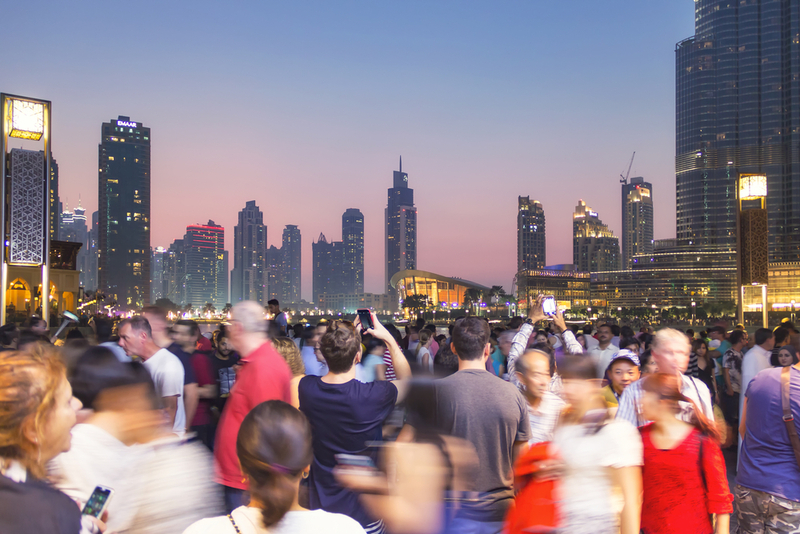 The UAE has always been well known for making its residents and tourists feel safe at any time of the day. A recent report by the RTA uncovered possessions found in its ‘lost and found’ by Dubai taxis. The most precious items were a handbag with $20,000 inside and up to 44kg of gold in two separate occasions. The items were all returned to their rightful owners. Popular holiday destinations such as the United Kingdom and the United States took some of the lowest rankings for safety, coming in at 78th and 84th. 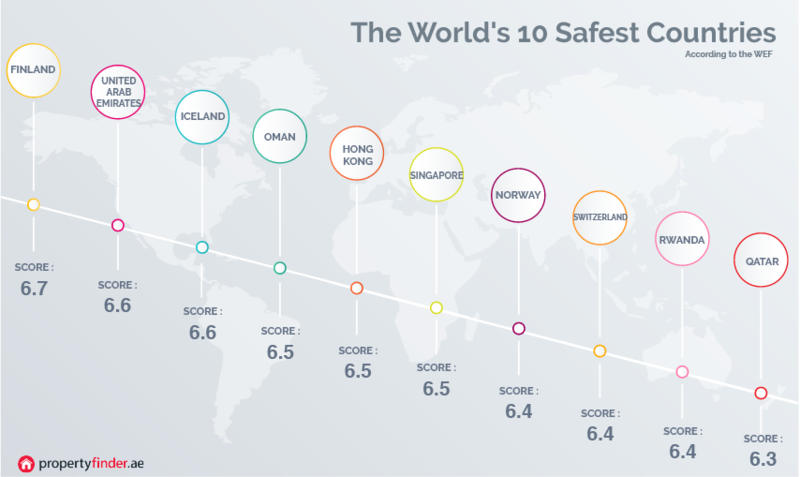 Other countries in the Middle East that rounded up the top 10 for safety and security included Oman, which came in fourth, and Qatar, which filled in the 10th spot. All rights reserved to the initial publisher for Propertyfinder.